Before we talk about Easter, I’d like to share my experience with unintentionally overmedicating myself the last few days. I was diagnosed with hypothyroidism when I first went gluten free almost 11 years ago. I take thyroid medication daily and my dosage typically remains pretty stable, with my symptoms pre-diagnosis typically and pleasantly absent. But the last few days, I’ve not been able to sleep well, have felt anxious and jittery, and—the most telling symptom of all to me—have experienced heart palpitations. Heart palpitations that have gotten progressively worse each day and awakened me in the middle of the night, I should add. While some would be likely to rush off to the emergency room and that’s an understandable and warranted reaction, I learned long ago that all these symptoms indicate for me that my thyroid medication dosage is too high. These are actually some of the symptoms of hyperthyroidism. However, I was baffled as to why the dosage that’s been working great for months would suddenly be too high. A Google search on “what happens if thyroid medication dosage is too high” immediately revealed this article by Mary Shomon, one of the best known advocates for thyroid patients, which supplied the reason. I ran out of the my bone-building/maintenance supplement a few days ago and had not gotten around to getting more. Mary explains that calcium (and also iron, by the way) interferes with the absorption of thyroid medications, so without my daily dosage of calcium in my system, I was suddenly absorbing more of my thyroid medication and being, quite literally, overmedicated. One of my previous doctors said that hypothyroidism can often be mistaken for depression. With your mental state with depression she said, you feel unhappy and pretty much have no desire to get off the couch. With inadequately treated hypothyroidism, you are not unhappy and you want to get off the couch, but doing so takes effort that’s simply beyond you. Many of us who have celiac disease/non-celiac gluten sensitivity (NCGS) or live gluten free for other health reasons also have thyroid issues, so I thought that sharing my experience might be helpful. And please know that no disrespect is meant to anyone who deals with depression. I am simply sharing my previous doctor’s explanation that has sometimes allowed me to recognize when my thyroid medication dosage has become too low. I say sometimes because one is in an altered state—for lack of a better term—when these symptoms appear and the symptoms can sneak up on one, so the light bulb moment doesn’t always come immediately. I’m sure I’m not the only way who has run out of a supplement and taken a few days to replenish my stock. In the case of calcium or iron for one who also takes thyroid medication, the sudden halting of these supplements really, really matters. 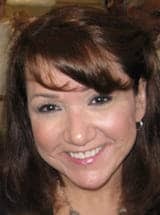 If it’s taken me this long to connect the dots—and only with the help of Mary Shomon—you might be experiencing similar frustrations and not understanding “cause and effect” when your body does not respond as expected to thyroid medication. Of course, it’s always best to seek out the guidance of a qualified and educated medical professional and learn more about thyroid issues, so you can do some of your own detective issues to aid them in helping you. I actually have an excellent gynecologist who monitors my hypothyroidism. He’s also gluten free himself and knows the many symptoms and conditions related to celiac/NCGS. Yet when I’ve stated that my dosage was clearly too high or too low, he’s never inquired about the supplements that I was taking, at least not that I can recall. So please keep this information in mind if you have thyroid issues and read Mary’s article for other indications that you’re overmedicating yourself with your thyroid medication. Now on to Easter, which is a whole lot more fun that dealing with thyroid issues! While traditional Easter dinners with my family have always included ham as the main dish and a number of usual sides and scrumptious desserts, this year we’ll be enjoying grilled chicken at my sister’s house. We’ll still have many of those same wonderful sides and even better desserts though. Some of these recipes are included in this listing below. 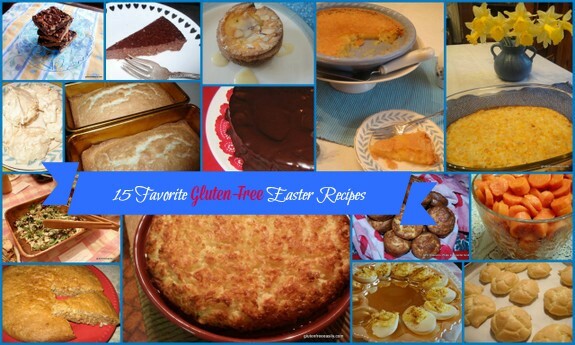 I think you’ll find all of them to be great additions to your Easter menu—and in some cases, even your Passover menu if you observe Passover versus Easter. 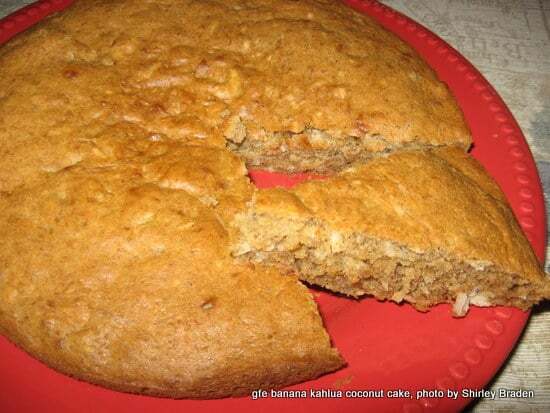 ~ Banana Kahlua Coconut Cake ~ Absolutely as good as it sounds! 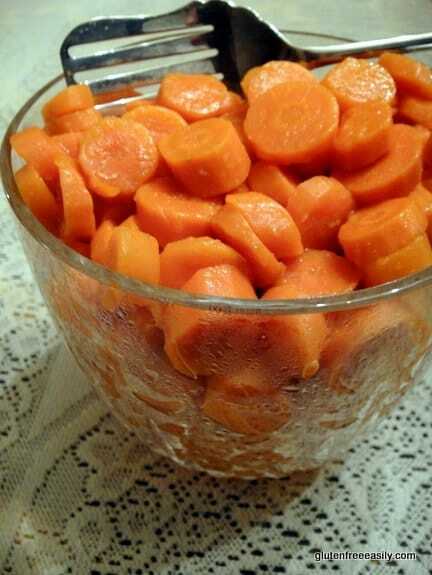 ~ Candy Carrot Coins ~ Not just for kids and Easter bunny approved! 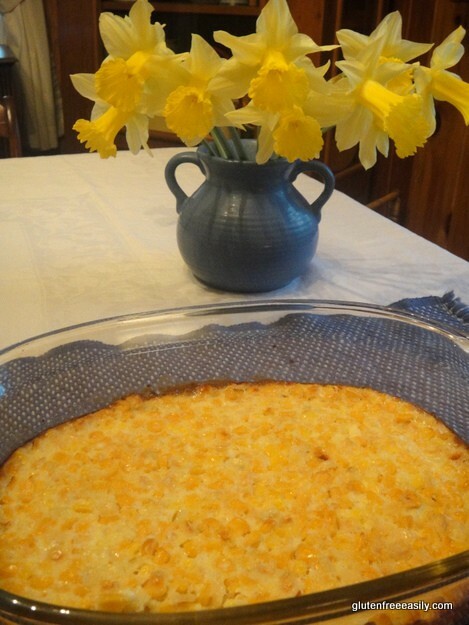 ~ Classic Corn Pudding ~ Easy to make and a great side dish to accompany ham. 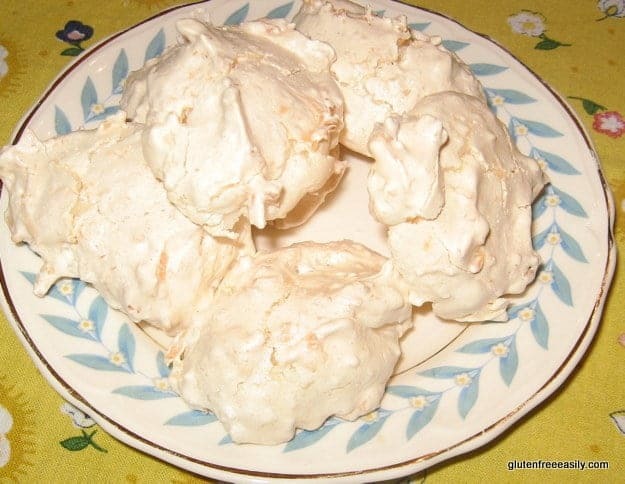 ~ Coconut Meringues ~ If you like less sweetness in your recipes, use unsweetened coconut flakes. This recipe would also work for Passover I believe. 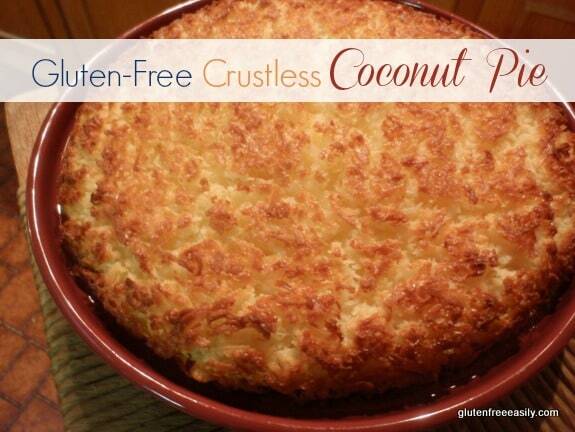 ~ Crustless Coconut Pie ~ My family’s favorite holiday pie and very adaptable to variations to meet your dairy-free and “more-free” needs. 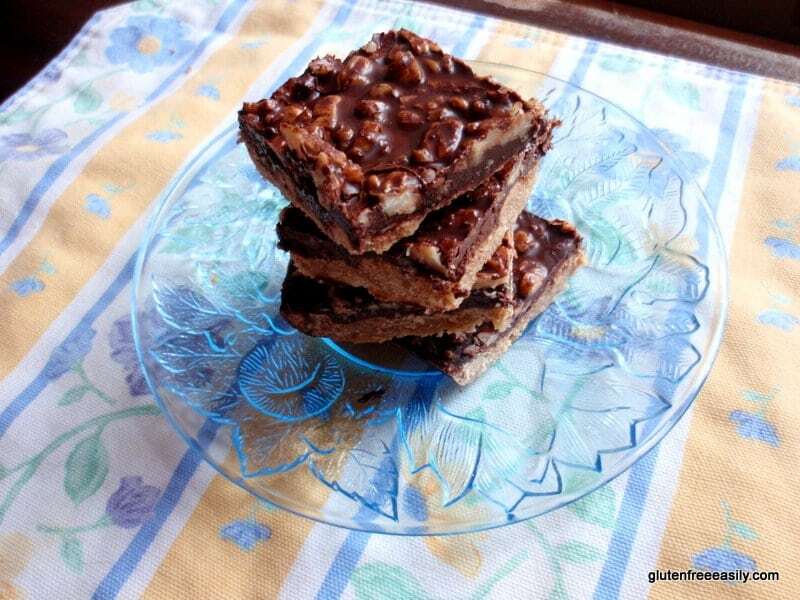 ~ Dark Chocolate Walnut Bliss Bars ~ That “bliss” in the title is well merited, believe me! ~ Easy and Elegant Party Puffs ~ Perfect as appetizers when filled with savory goodness or lovely as dessert when filled with pudding and éclair-worthy filling. The puffs themselves are made from only four ingredients and one of them is water! This is an incredibly easy recipe that will make you look like a pastry chef! ~ Flourless Chocolate Cake ~ The classic “death by chocolate” dessert. Super easy to make and beyond impressive to the chocolate lovers in your life. You don’t even have to separate the eggs! 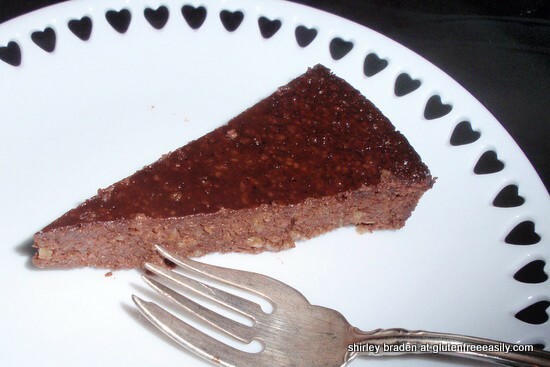 ~ Flourless Chocolate Banana Walnut Cake ~ Honey and bananas provide all the sweetness you need in this lovely cake. Would also work well for Passover I believe. ~ Great Salad ~ Everyone eats this salad and loves it! Yes, everyone. Even salad haters. Use my homemade Poppy Seed Dressing instead of ready made dressing if you like. ~ Mom’s Deviled Eggs ~ I’ve eaten too many bad deviled eggs in my life. 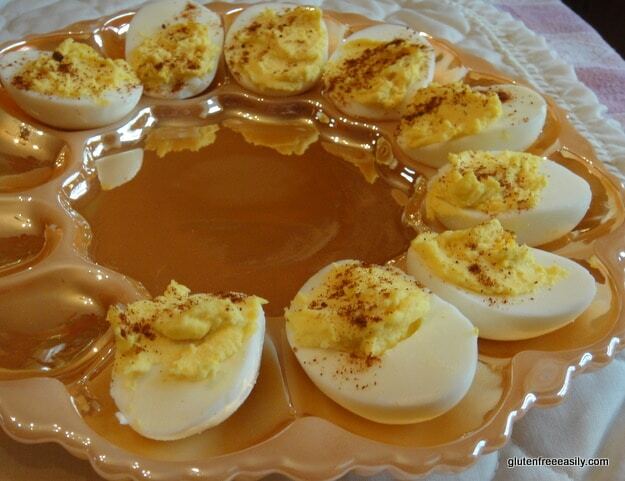 Bad deviled eggs are almost criminal in my opinion. It’s a terrible experience to discover a vinegary poor excuse for a deviled egg once you’ve popped one into your mouth. Everyone has had that experience, right? You don’t have to worry about that happening with this lovely foolproof egg recipe from my mom. 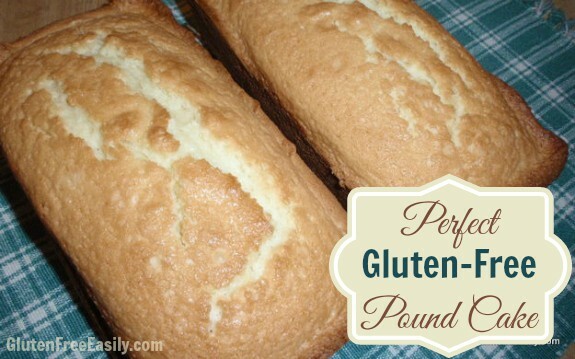 ~ Perfect Pound Cake ~ “Perfect” is another adjective I don’t use lightly. This pound cake is everything you could dream of “as is,” but you can also use it as the base for a delightful Strawberry Shortcake recipe or Trifle of choice. 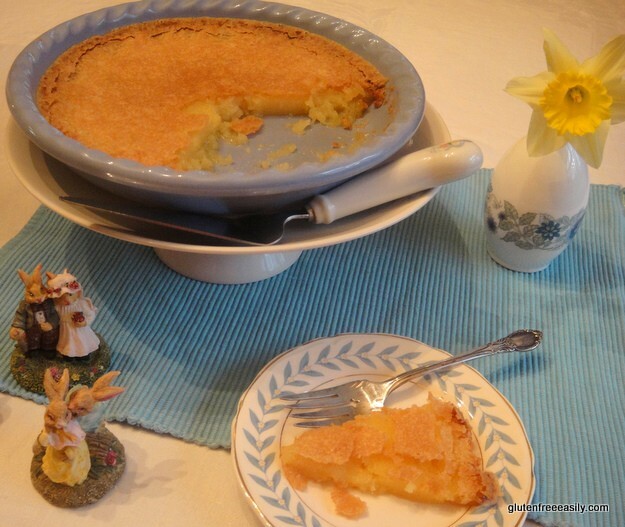 ~ “Surprise” Vinegar Pie ~ This “sweet tart” pie is Southern all the way and irresistible! You might call this one a kissing cousin of Chess Pie and Buttermilk Pie. 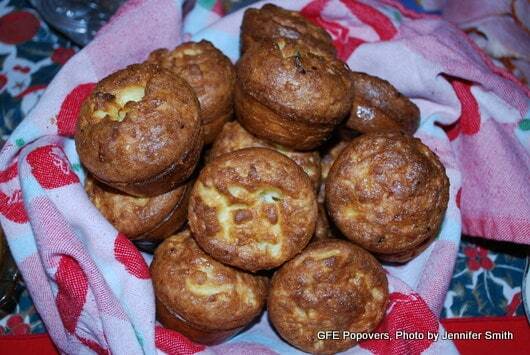 ~ “Better Than Sliced Bread” Popovers ~ My family would love me even more if I’d make these popovers more often. Just sayin’. 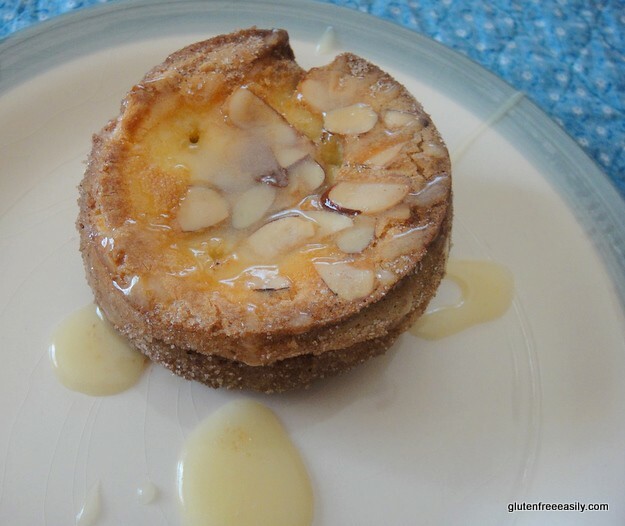 Speaking of being loved for one’s popovers, here’s a bonus recipe … make these Cinnamon-Sugar Crusted Almond Popovers for Easter morning and you’ll most definitely feel the love! Simply omit the almonds if you don’t eat them. And while I’ve personally never made Hot Cross Buns, many of my wonderful blogger friends have! 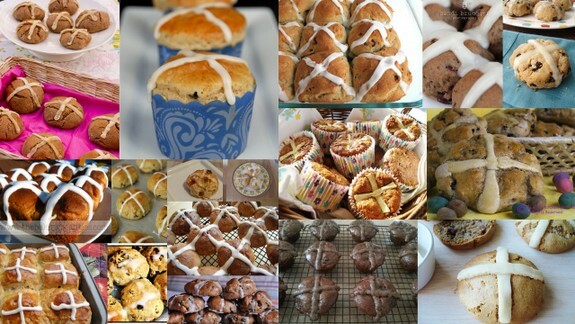 So I’ve collected the Top 20 Best Gluten-Free Hot Cross Bun Recipes for you! 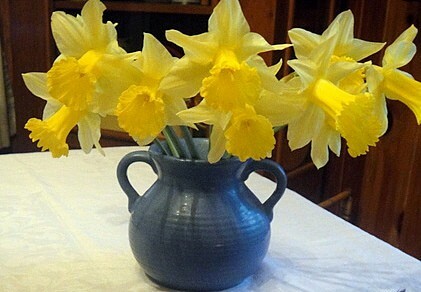 I hope each of you who observes Easter or Passover has a meaningful and wonderful experience with loved ones this week! 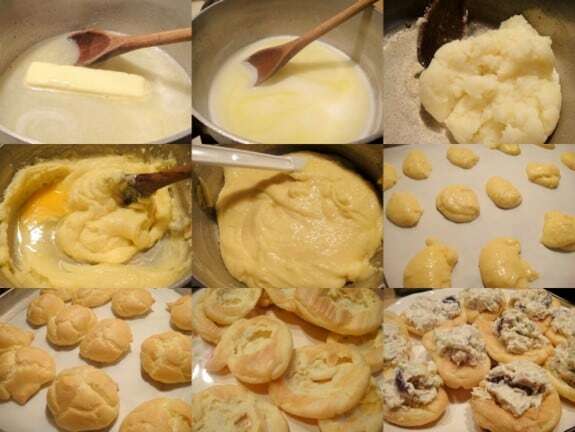 The party puffs are like the French gougieres, which I make with any kind of cheese stirred in. Lovely with a glass of wine for drinks and nibblies occasions. 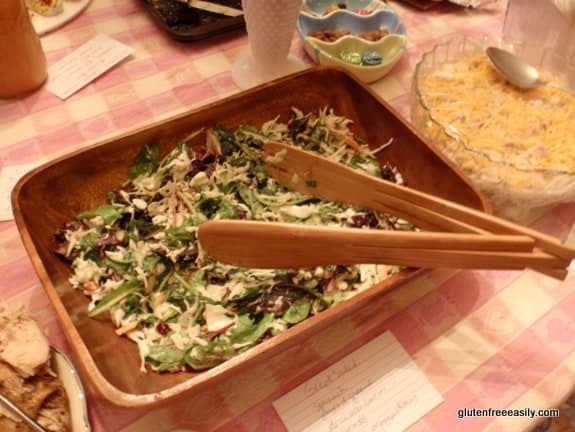 I’ve been asked to bring “MY SALAD” to family Easter again this year, which is the Great Salad. It is such a winner! I add chunked apples to mine, and sometimes substitute broccoli slaw for the cabbage. I think I’ll toss in pears instead of apples this year. They are on sale and are still crisp. Oh, and I found Brianna’s dressing. I alternate between that and Paul Newman’s. What a gorgeous and lovely salad this is. It disappears immediately. Glad you are feeling better. Don’t take chances with your health, please. Nance, the next time you visit, we must make those heavenly delights for sure! So funny about the salad being your salad. It really does become everyone’s great salad and it’s so versatile as you say. I like broccoli slaw in mine sometimes, too. And apples would be nice for sure. Crisp pears are definitely key when using those in salad. I didn’t even know that Paul Newman’s line include poppy seed dressing because I tend to stay away from their products because they sometimes surprise you with gluteny ones and long ago a product of theirs was mislabeled as gf when it was not. Anyway so glad the salad works as well for you as it does for everyone else! Shirley – thank you for sharing your information about thyroid issues. I too have recently been diagnosed with low thyroid/adrenals. Not low enough to be on meds…taking a herbal supplement and feel much better. I sure know how you feel and glad you are now feeling better! Ina–Thanks, dear, and so glad that you got an answer and that a thyroid/adrenal support supplement is working for you. Both thyroid and adrenal issues are common for those of us with gluten issues. Hoping we both feel on top of our game very soon! Thanks for stopping by, Ina! I was given thyroid medication (that I actually didn’t need) and experienced unbelievable side effects like those you have described. I was so shaky and ill, I thought I was dying. Thankfully I got off the medication before I had heart problems. This information is going to help a lot of people. Thanks for all the wonderful recipes. Wishing you and your family God’s blessings at Easter. Thanks for sharing your experience with your thyroid. I go up and down too with my symptoms and would have never connected the dots relating it to supplements!!! I actually just got off of Synthroid about a month ago as I found out I was having an allergic reaction to it and started taking a natural thyroid supplement. I assume calcium and iodine would effect my new thyroid supplement also. I’m glad you are feeling better and figured it out – thanks so much for sharing!!! 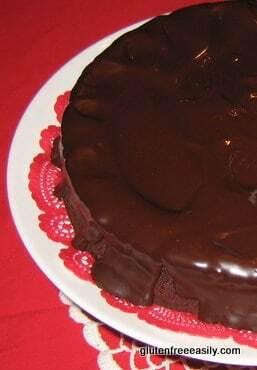 Your recipes look fantastic, I really need to make your flourless chocolate cake!!!! Cassidy–Thyroid issues are in a word, complicated! I’m on a natural thyroid med and I am very grateful for it. Hopefully, you’ve found something that works well for you. Having a truly knowledgeable doctor is the best aid in this area. Yes, I believe that the potential is there for the supplements to be impacted, too. Hoping to be fully back to myself in a few more days. That flourless chocolate cake is pretty versatile and incredibly good! When I shared it on All Gluten-Free Desserts, I made my longest post ever there by sharing reader Lisa’s comment: “I have used Enjoy Life dairy free chocolate chips, and I have used Ghirardelli chocolate chips with dairy and sugar. I have used butter and I have used Smart Balance Soy Free dairy free spread. I have used whole eggs, and I have used 1/2 eggs and 1/2 no cholesterol egg substitute product. I have used white cane sugar and I have used brown sugar Sucanat. In the glaze I have used “cartoned” coconut milk instead of the milk. This recipe has stood up to high altitude 7,000ft—and ALL of the changes that I have made to it for it to be dairy free. The only major variation I have done is to add fruit to the top of the cake. I have to suggest, if you’re adding a high water fruit like strawberries, reserve some of the glaze and stick them on at the last minute. When I put the strawberries on right away, then refrigerated the cake overnight, the berries lost some of their juice and made a puddle in the center of the cake. If I had waited and “glued” them on later with reheated glaze it wouldn’t have been necessary to mop up the berry juice before presenting the cake. This doesn’t happen with raspberries or blueberries.” I added that I’d used the Ghirardelli semi-sweet chocolate chips, which contain sugar, but until recently have been consider dairy free many times with no problems (now the Ghirardelli package says, “May contain milk”). Will be interested to see how you make it! Thanks, Debi, and I appreciate you mentioning your experience, too. I just looked at my prescription and it reminds you to take on an empty stomach, not to take antacids, calcium, or iron within 4 hours of taking this drug. Antacids and iron don’t apply to me, but I follow the other directions and don’t eat until an hour after taking my morning dosage, but still that warning doesn’t remind you that altering your calcium (or iron) dosage while taking it would also cause issues. The drug makers can’t cover every possibility on labels though, so we have to be our own best advocates for sure! I know that if I had panicked and gone to the ER, I would have ended up with a full cardiac panel. Been there, done that when I had chest pain from natural progesterone cream. I figured that one out, too. I am one of only 2% of folks who experience that reaction to progesterone. I’m such a special case! In this situation, I felt the info applied to and could be helpful to many more people.